Cheap makan stalls are few and far between these days -, especially in the Klang Valley. My hubby and I have been a regular ta-pau kaki from this Auntie's stall for many years to feed my family of 5. I think its due time I give some credits to this hidden gem that serves really good and cheap hawker food. 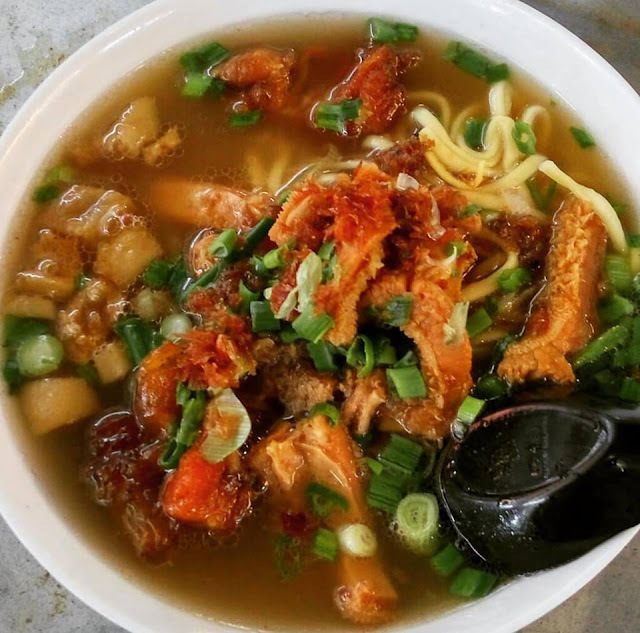 Nestled in a secluded quiet corner off Jalan Chan Sow Lin is the Mummy & Girl Stall, which serves a wide variety of noodles and porridge to whet your appetite. This stall caters to needs of the local office and factory workers around the vicinity that frequents this place for both breakfast and lunch. Very tasty and affordable, "Mummy' had maintained her standards and prices for many years. What I really like about this stall is that her servings whether is the noodles portion or the side dishes, it comes in huge serving. My regular takeaway order is usually in big pack (tai or mah meen) which is good enough to be shared by 2 pax. She's a very sporting lady, obliging to her customer's request. In fact, you can order anything from her standard menu by mix & match order - adds on of roast pork, fish balls, chau siew, meat balls, fish balls, cockles, taufo puffs, foo chok, minced pork, curry chicken, wanton (the list goes on) with your choice of soup & noodles too. 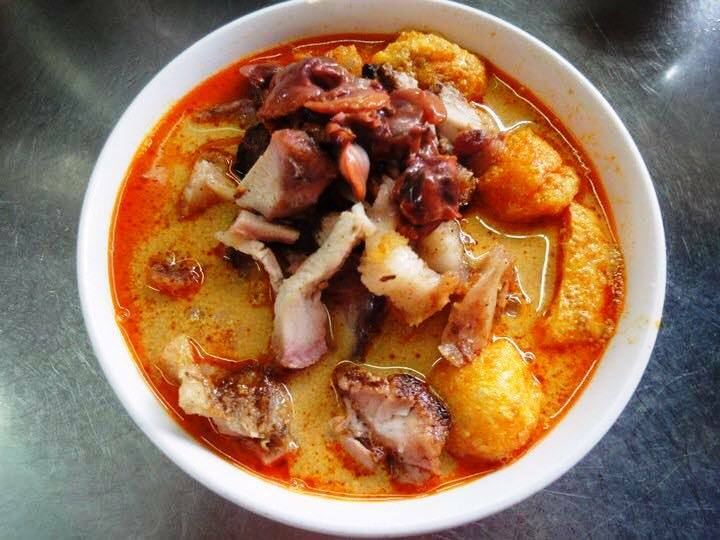 First-timers coming to Mummy & Girl stall must try out this Super tasty Curry Mee. 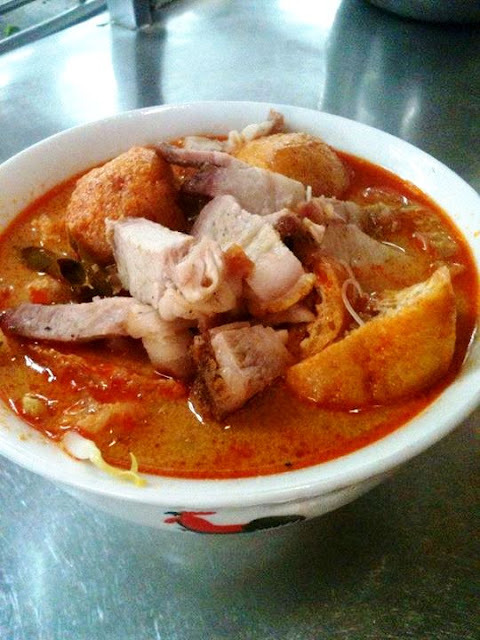 Her curry soup is one of the best I had ever tasted - Creamy, fragrant and full of flavour. You will know that she uses only fresh herbs and spices to cook the soup just by tasting the broth. Mummy is a very generous lady in the serving of her noodles dishes. Actually, there is no standard topping for her Curry Mee, you can practically choose what goes inside to satisfy your personal craving! Mine is "Everything also want, Auntie!". The 'Wai-sek' Auntie Lilly wants roast pork (siew yok), Char siu, fish cake, tofu pok, cockles, pork skin (chee pei) all dump in for my ultimate Curry Mee. Next, this is the hearty Dry style 'Kon Lo Meen' with Meatballs. Please note that the yellow noodles she used is not the regular ones but this is a lighter in colour which means less 'kan shui'. 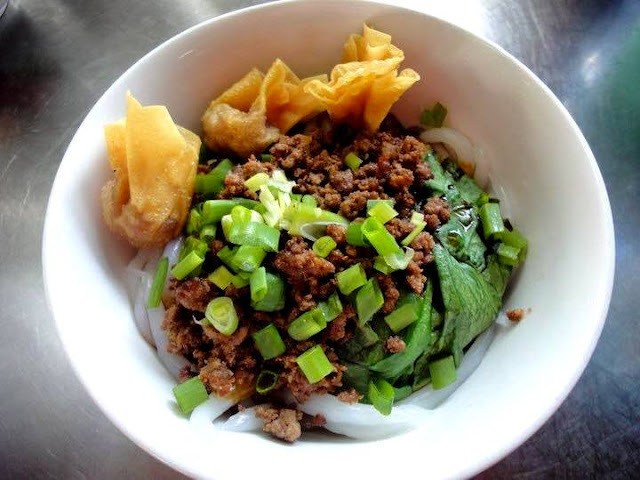 See the plentiful portion of the minced pork over the noodles, where it covers up the whole bowl! This is what I define 'real value for money' good food. Another All-Time-Favourite of her regular customers is this beefy goodness of the Stew Beef Tendon Noodles Soup. Please take note that this beefy noodle is a fast selling item, come early to eat this if you do not want to be disappointed. Here's another favourite among 'Mummy' patrons - her very Special Stew Beef Tendon served with wantan noodles topped with loads of tender, juicy chunky beef and tendon. The sauce is mixed with the noodles and simply delicious even with the non-beef fans. You got to try it to find out! A Treat: The delicious looking Fish paste Wanton (Yi Pei Wanton) is a must try dish. Serving is good enough for two. This dish makes a super 1st course or appetizer to go with your noodles. Next, it's this clear Soup Noodles. 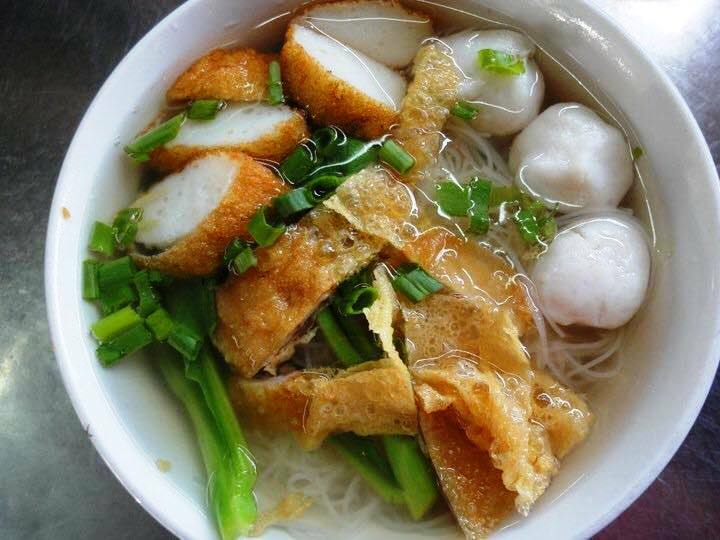 Fish ball lovers must check it out as its served with a flavourful clear based soup with bouncy fish balls, fish cakes and foo chuk rolls. I was told that she only uses premium products bought from the supplier in Pudu Market for her special fish balls and foo chuk roll. 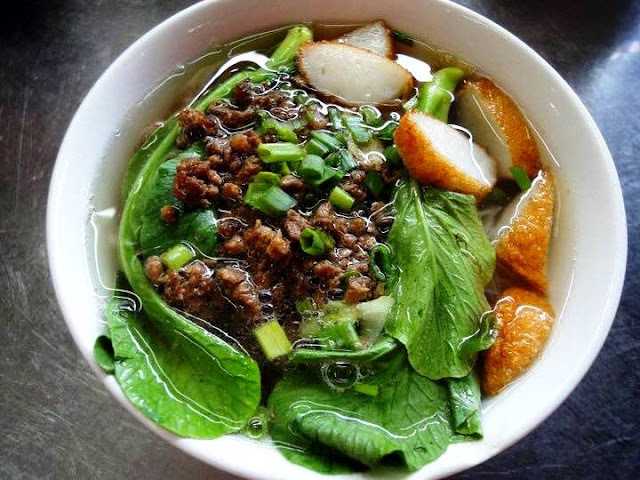 This is a similar version of the soup noodles but this one is topped with loads of minced pork for the extra flavour - Great for the greedy 'lots of lui' people! 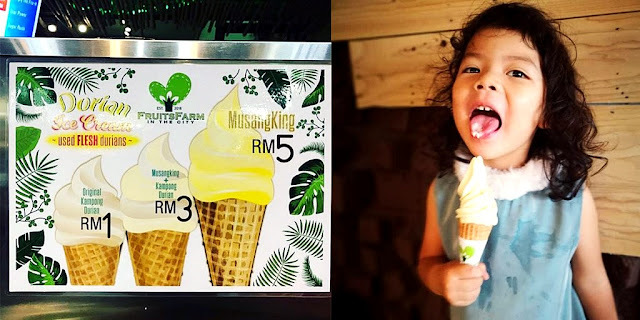 All and all, Mummy & Girl Stall is one of my favourite food haunts for cheap and tasty simple KL food. Not many people know of this hidden gem especially those staying in the suburbs in PJ and Subang areas. Her stall has been around for many years in the city and she is well-known among the factories workers in the area where her stall is located at Jalan Chan Sow Lin. If you like the food and wishes to thanks Auntie Lilly for my recommendation, please do drop a comment in my blog post below in the comments section! 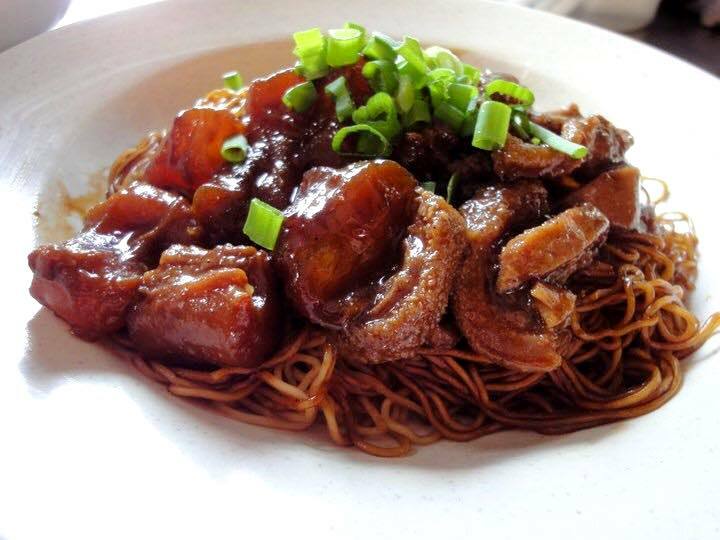 Latest Update - WEF: June 2015, Mummy & Girl Famous Curry Mee has shifted to the new address stated above. 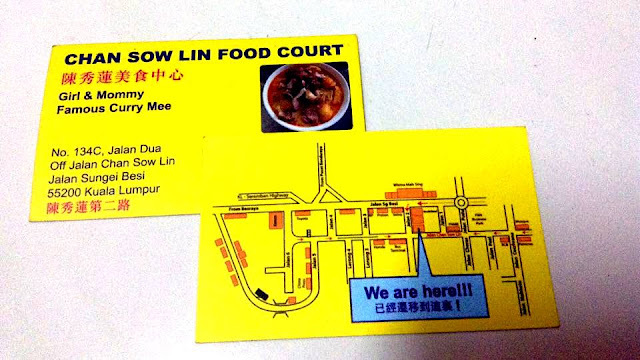 Just in case you can't find this hidden gem, here's the map to the 'Mummy & Girl Noodles Stall'. Happy Eating & hope you enjoy the food as much as I do each and every time! Mummy's Curry Mee is the BEST!